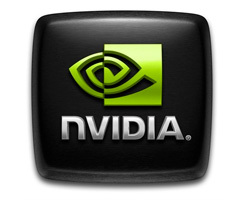 Sources over vrzone revealed Nvidia's next two years GPUs roadmap plan, the data gathered show that Nvidia will use the Kepler GPU for the next Geforce 700 series with three GPU production stages or refresh, in addition to the Tesla K20 which will arrive this December and use the GK110 GPU, a performance chip for professional products, so the result three GPUs, the GK104 for performance, GK107 for mobile systems and entry-level desktops and the GK110 for enterprise market, the 20nm process "Maxwell" new era GPUs will see the light in the beginning of 2014. GK110 in December 2012:The GK110 will arrive no sooner than December in the form of the Tesla K20 with 6GB or perhaps as much as 12GB GDDR5 memory, and later as the Quadro K6000 6GB. Kepler refresh in 2013:Next year NVIDIA will introduce a Kepler refresh because the 20nm Maxwell architecture (GM1xx series?) is delayed to the first half of 2014. The 2013 Kepler refresh will be the GeForce GTX 700 series and they're expected to repeat the same cadence as this year's lineup. You can expect further clock improvements and performance/power efficiency improvements to the tune of 25 to 30 percent. A GeForce GTX 780 card shouldn't be expected until March 2013 at the earliest. Maxwell delayed to 2014:The 2014 Maxwell architecture will be a 20nm Gate-Last HKMG part, capable of being manufactured by TSMC, IBM, GlobalFoundries and Samsung. Maxwell will mark a turning point in NVIDIA's history, the chip will be the company's first top-to-bottom GPU architecture, powering everything from Tegra to Tesla, and it will be the first chip to integrate a 64-bit ARM core (Project Denver). Putting the typically-bandwidth starved ARM cores onto an internal bus which in GPUs goes beyond 1.5TB/s should significantly change the playing game a GPU capable of booting an operating system, regardless of what lies currently in public documents.